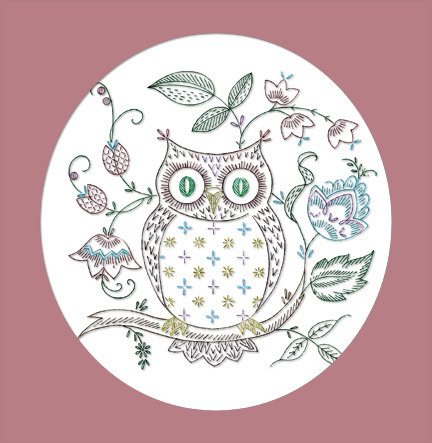 Owl, Floral and bird crewel designs. Very classic! Includes 3tabloid (11x 17) sheets of designs . Originally published as Vogart 2003B.